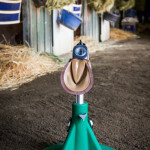 The Blacksmith Buddy Junior is designed to work as an add-on to the Equine Innovations Hoofjack. 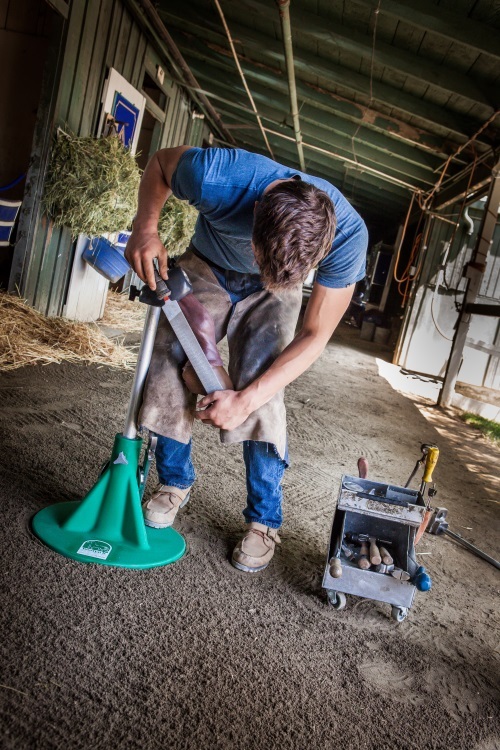 As an economical alternative to the Blacksmith Buddy Original, it’s perfect for veterinary and farrier students, trainees, and apprentices of all kinds to quickly get the repetitions and expertise they need. Just like the Original, Blacksmith Buddy Junior provides a hygienic and non-messy way to learn. Traditionally cadaver legs were the main learning tool in farrier training, and Blacksmith Buddy is a great addition to the cadaver leg program – since it can be used and easily stored in a classroom environment. 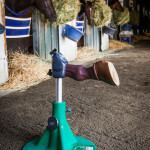 Veterinary Colleges have been using the Blacksmith Buddy Original to teach practical application of basic hoof care, trimming, shoeing pulling shoes, removing abscess, wrapping leg bandages and more. Product demonstrators often use the Blacksmith Buddy to demonstrate new tools and techniques like: Glue-on shoes, tools, nail, rasps, hoof boots, patches, and even live clinical demonstrations. Since a horse can only be shod once every 6 to 8 weeks, Blacksmith Buddy Junior provides an affordable way to practice and hone new skills. With the realistically simulated experience of the BB Original, the BB Junior lacks only the tension and positioning of the real thing. Detachable replacement hooves available in packages of 6 or more.